If everything falls according to plan, we should be heading back to Texas today! In the meantime, this is my last scheduled post while I am out of town. 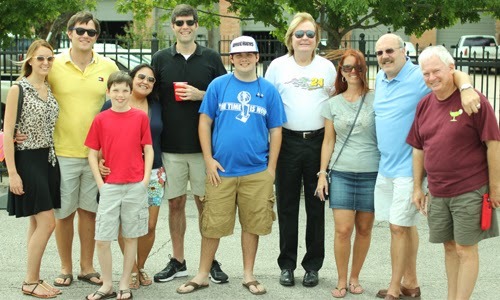 Last weekend, we were invited to spend the day with friends at the State Fair of Texas. I was really sad last year when Big Tex burned down after an electrical fire. I don't think I really like the "work" he had done in the last year. 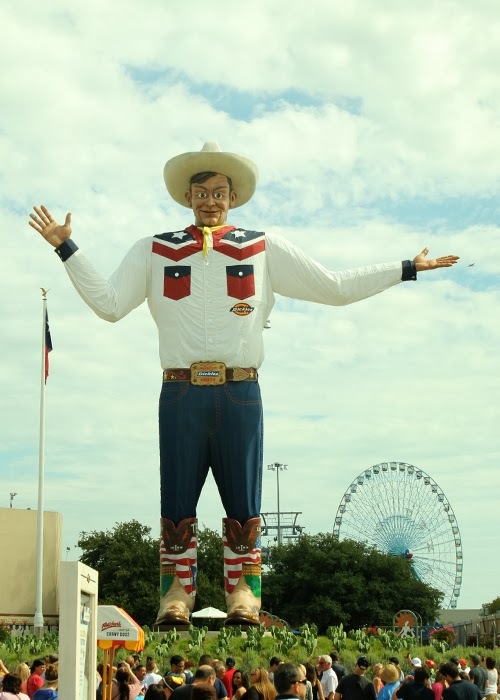 One of my friends said that the new Big Tex reminds her of Hank Hill's dad on King of the Hill, who had his shins blown off in World War II. I don't know if you can tell, but Big Tex looks very disproportionate now. Meeting up with friends before we headed to the fair. 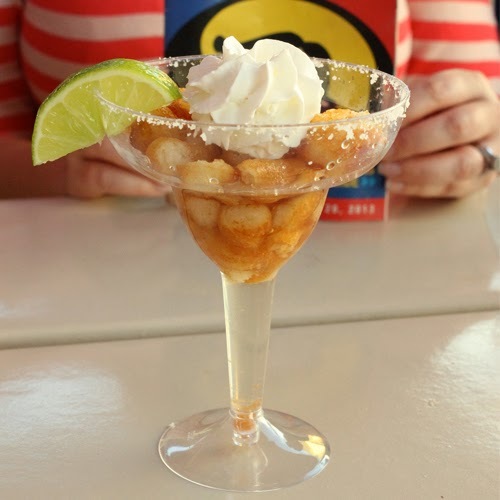 Enough about poor Big Tex, let's talk about the FOOD! I love, Love, LOVE going to the State Fair because of the food. Mr. Fantastic usually gets a turkey leg and the boys get some corny dogs. 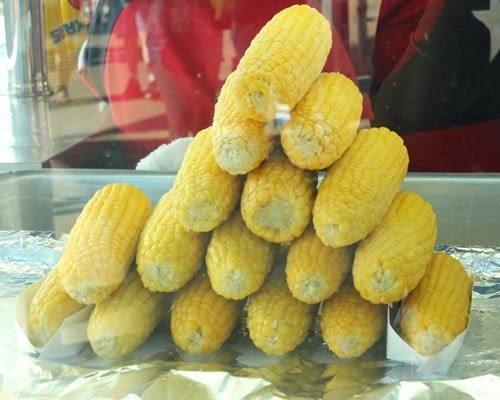 I always go for the corn on the cobs because they almost drip with butter and who doesn't love drippy butter? I didn't get to eat a red velvet funnel cake this year, but I did sneak in some fried margarita! How's that for Fat Kid Heaven? Have you ever visited the State Fair of Texas? Do you have an annual fair in your area? Tell me!